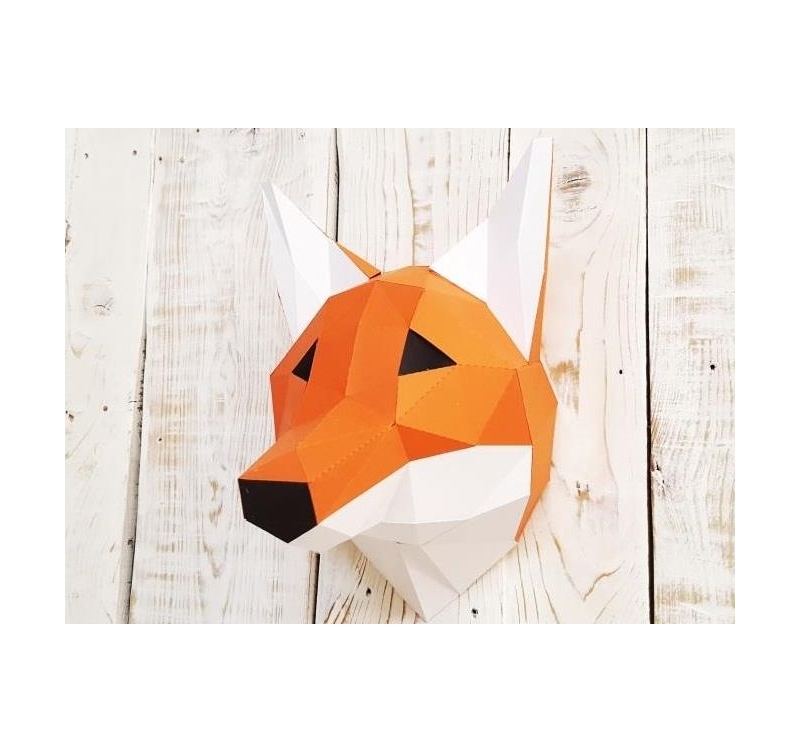 Discover our paper trophy collection with this little fox. This fox trophy is in paper weight 160 / m2 and the time of realization and about 3 hours. The dimensions of this decorative fox head are 33 x 22 cm. The paper glue for this paper trophy is not included in the kit. 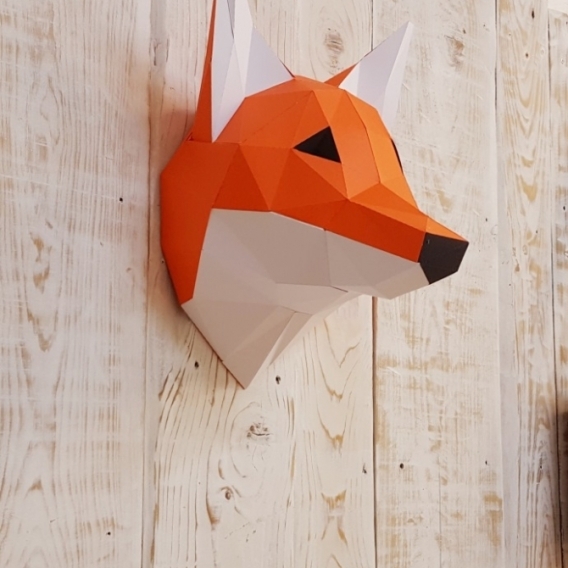 Artwall and Co allows you to create your own decoration with this fox-shaped trophy ! This origami style will go perfectly with a modern interior or trendy furniture. Our installation kit and manual allow you to realize it in the best conditions. Once ordered and delivered free in Metropolitan France and Belgium, you will be able to discover this fox trophy in our envelope of sending. The trophy comes in several pre-cut parts for easy identification. All you have to do is bend according to the instructions and stick the different parts together. 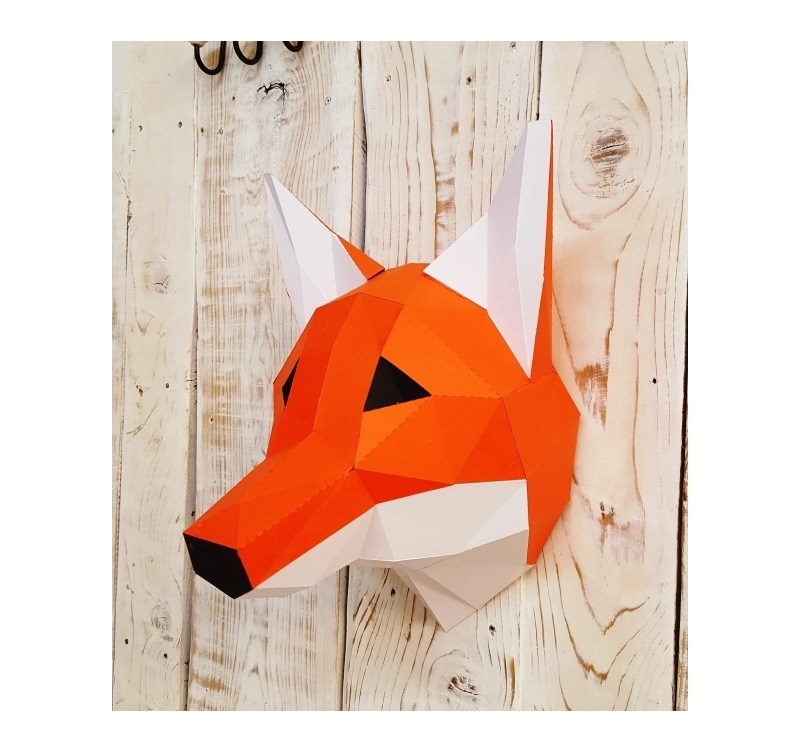 No worries for beginners in decoration, everything is indicated to offer you a unique experience with this fox wall trophy. This trophy is very easy to hang on the wall and very light. It can very well be installed in a living room, a kitchen or in a room to entertain your children. Please note that each paper trophy is delivered without its glue. 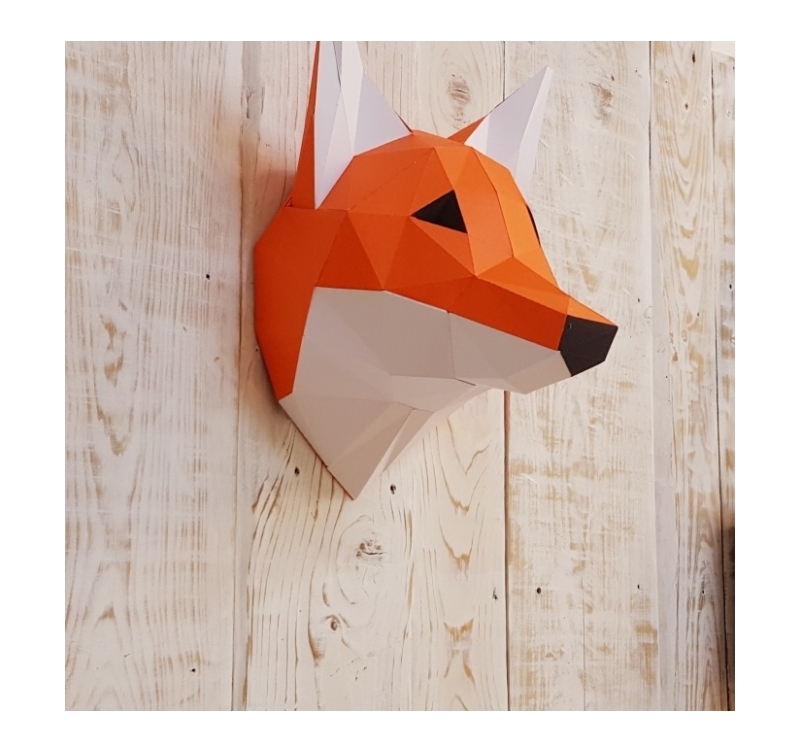 Once mounted, all you have to do is put this fox design trophy to the desired wall and that's it! Feel free to send us photos of your achievements.